'We adopted Freddie in January 2016 after I finally convinced Jud that we needed a dog to accompany the 2 cats we already had! Like so many other people who adopted from WAHF we initially tried UK rescue centres but due to us both working (although rarely both with the same hours) and the cats, we hit a brick wall. I found WAHF through following Rosie @thelondoner on Instagram and realised that these guys held the answer to our quest. After speaking to Eve and trawling the website every day looking for the right dog, Freddie was suggested to us as he hadn't settled in his previous home. Originally he was from Cyprus but had been living in North Wales most recently- cue a trip up the motorway to meet him (and bring him home!). He settled in immediately and stole our hearts. He loves a cuddle when you're watching TV and he took really well to training classes. He can be unsure of some children and he loves chasing joggers, which can be embarrassing - he's not got a vicious bone in him but he has a very loud, deep bark so can appear scary, especially as he can run very fast! After a year we decided that since Freddie loved spending time with all other dogs maybe it would be nice to get him a permanent pal. 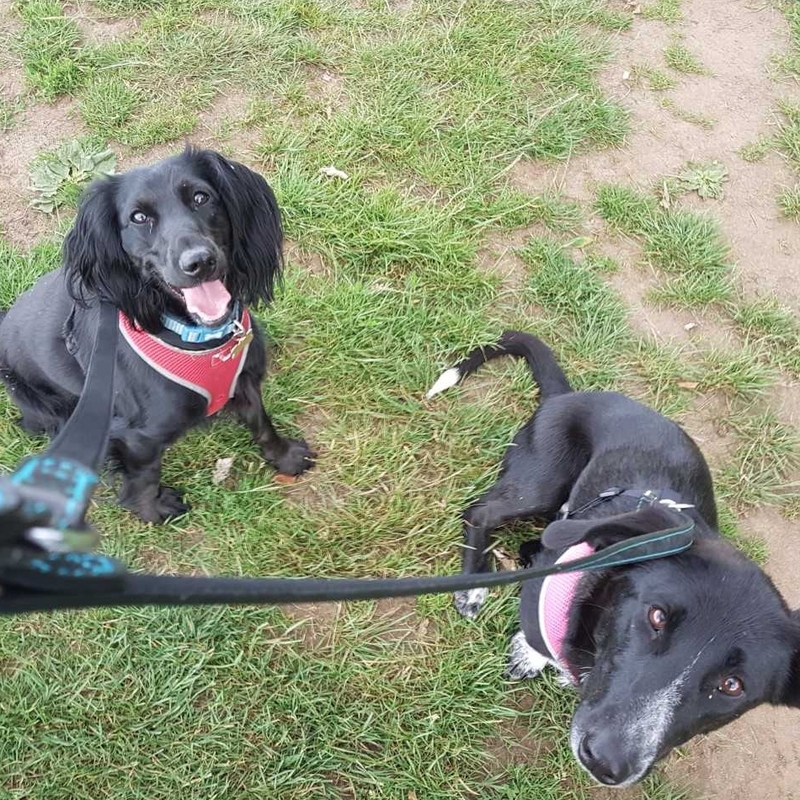 Once again I began the near constant trawling of the website but also spoke to Eve, Alicia and Anca about what type of dog would suit our lifestyle and would obviously be a good fit for Freddie. Soon we saw photos of Sally and we fell in love! At 3.30am on a Tuesday morning (thanks to a number of delays) Sally arrived on our doorstep. Although people always say that you need to have dogs meet each other in neutral territory we didn't have the chance at that time of day. Luckily for all Sally and Freddie got on from the first moment chasing each other around the garden before she conked out! Sally has been slightly harder work than Freddie. She doesn't always remember her size and can jump at people which makes them nervous and she isn't best friends with every dog we meet but she's getting better every day and a pocket constantly full of treats definitely helps. Having 2 dogs is amazing and hard work all at the same time! With these 2 its all or nothing! They're either chasing each other round the house with no care for the cup of tea you might be enjoying, or sleeping- there is no inbetween! Taking 2 dogs out by yourself can be hard and food and vets obviously costs a bit more but would we change anything? Not a chance. They are both integral parts of our family and everyone who meets them loves them. Freddie was a part of Jud's proposal to me last year and later this year they will both take a starring role in our wedding!